The Greatness Guide is a strikingly powerful and enormously practical handbook that will inspire you to get to world class in both your personal and professional life. 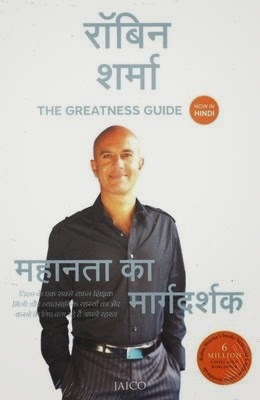 Written by Robin Sharma, one of the planet’s top success coaches and a man whose ideas have been embraced by celebrity CEOs, leading entrepreneurs, rock stars and royalty, as well as by many FORTUNE 500 companies, The Greatness Guide contains a proven formula that will help you meet your highest potential and live an extraordinary life. Discover.